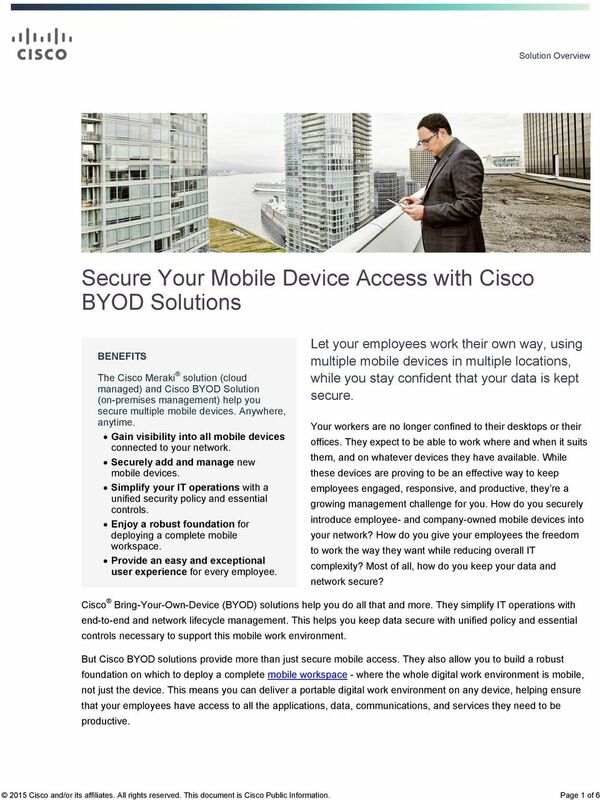 Download "Secure Your Mobile Device Access with Cisco BYOD Solutions"
Bring Your Own Device (BYOD) and 1:1 Initiatives: What Questions Do You Need to Answer Before Jumping In? Cisco Meraki solution overview. 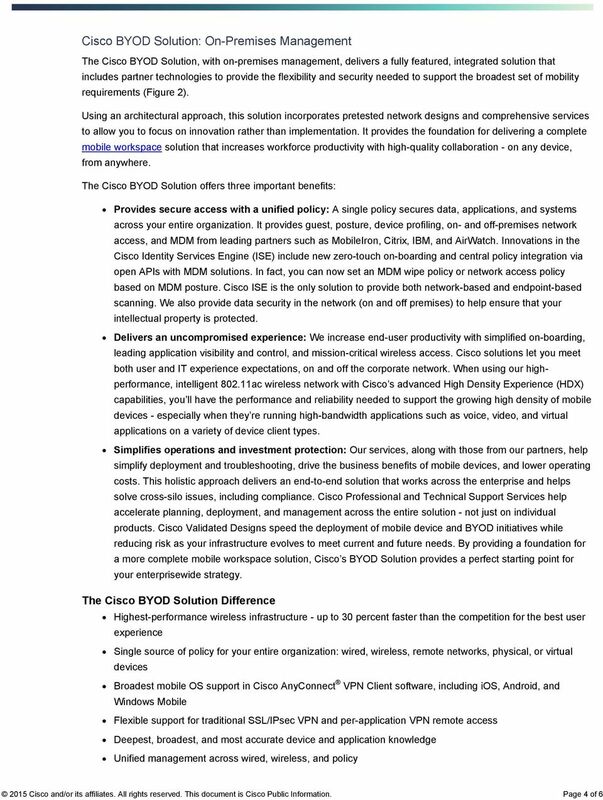 2010 Cisco and/or its affiliates. All rights reserved. 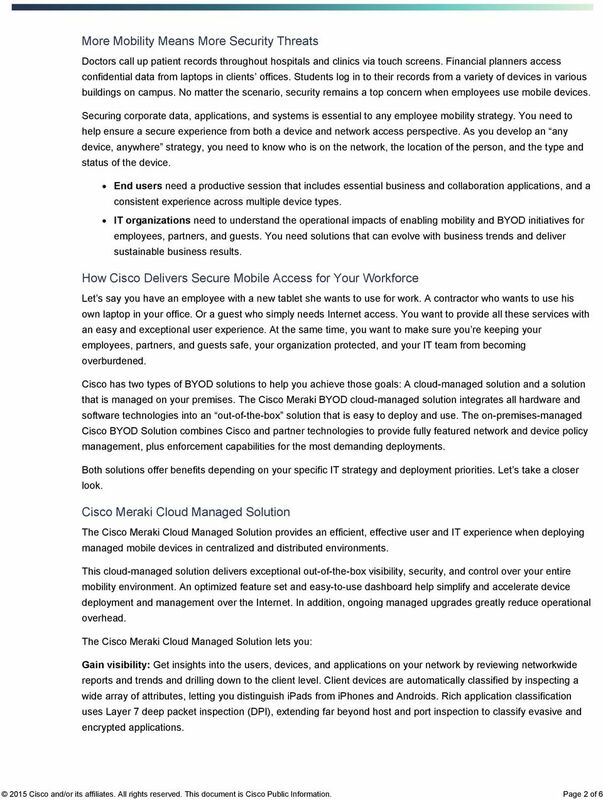 Meraki as Cisco Cloud Services Manage your network Where ever you are! 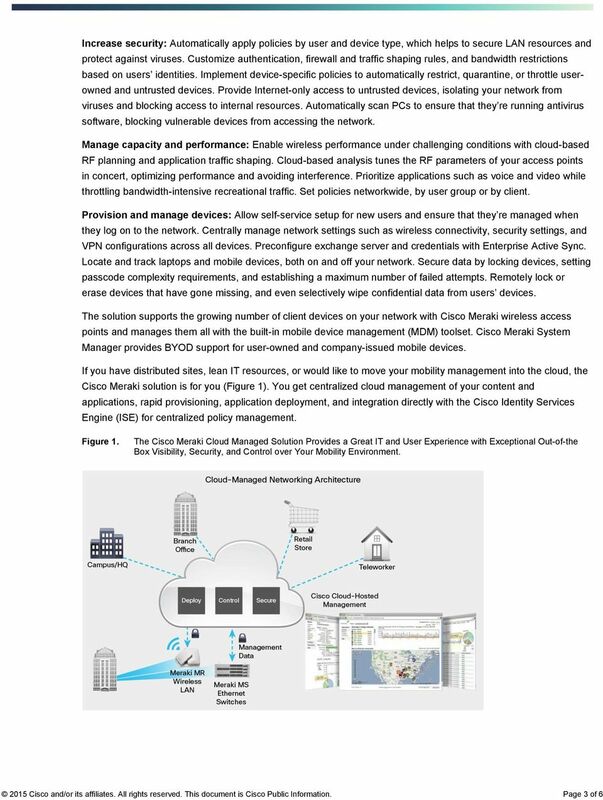 Meraki 2015 Solution Brochure Introduction 100% Cloud Managed Enterprise Networks Cisco Meraki cloud managed edge, branch, and campus networking solutions bring simplicity to enterprise-class networks. IT Enterprise Services Capita Virtual Workplace Agility & reliability for your future workplace Balancing freedom & control Virtual working is essential and you know the virtual workplace is possible. Managed WiFi. 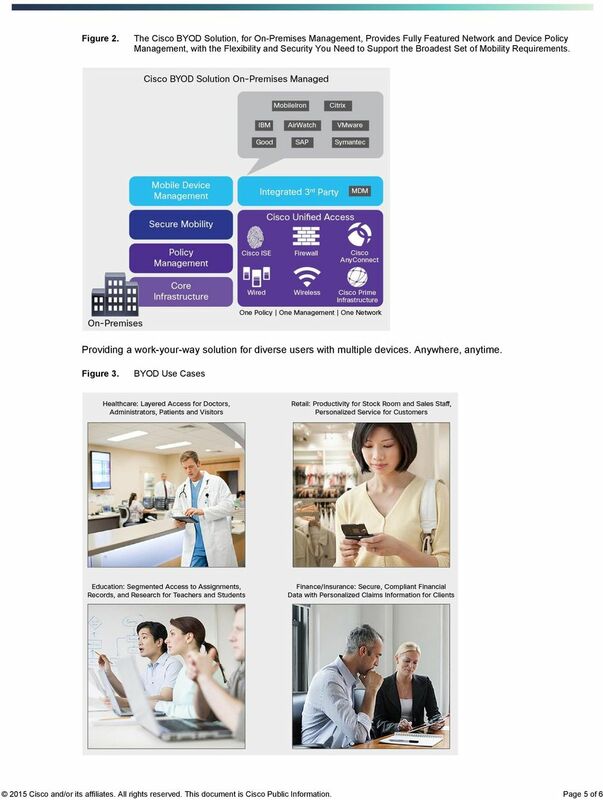 Choosing the Right Managed WiFi Solution for your Organization. www.megapath.com. Get Started Now: 877.611.6342 to learn more. 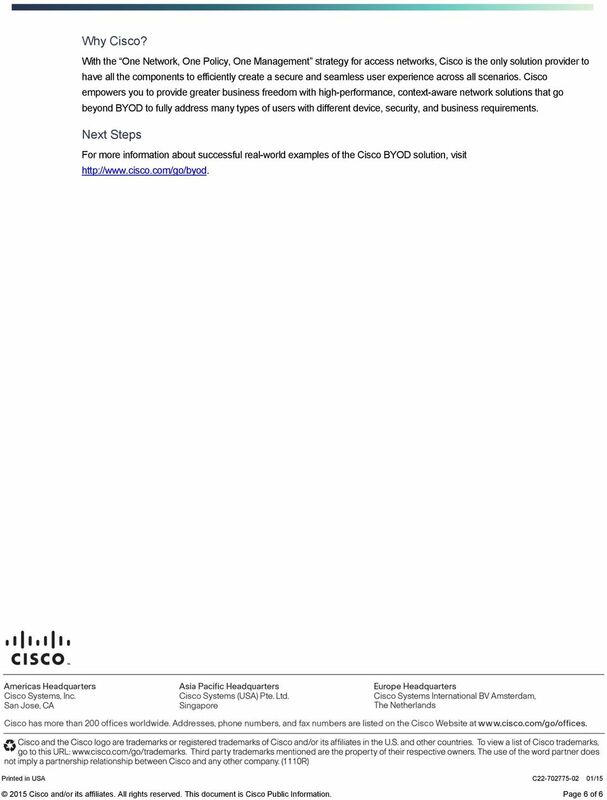 Why Migrate to the Cisco Unified Wireless Network?